The French Foreign Legion is a constitutional part of the French Army. The only difference between regular French army soldiers and legionnaires is that the legionnaires are exclusively foreigners. 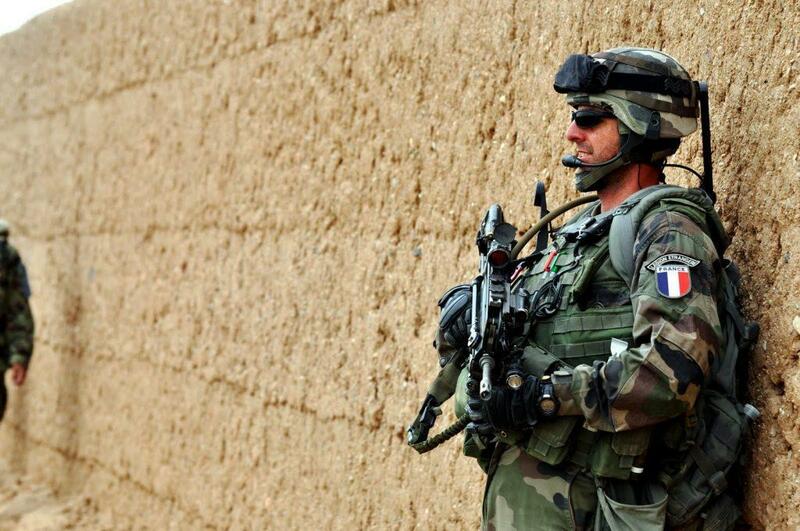 French Foreign Legion use the same weapons and equipment as the rest of the French army. French Foreign Legion was founded by French King Louis Philip on the March, 10th 1831 and it was immediately sent out to take part in conquer campaign in Algeria. 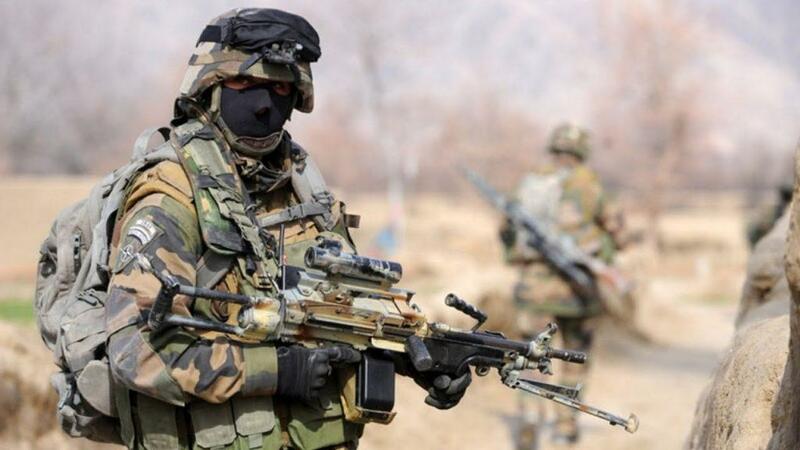 French Foreign Legion has since participated in all the wars of the French led, participated in the first and second world war.After World War II the Foreign Legion to include a large number of German troops. So after the second WWII. War in the foreign legion was even about 40% of Germans. 1945th He started the war in Indochina, which participates Foreign Legion, and there the whole of the French army filed a crushing defeat to the hell of war perished in a bunch of legionnaires. Legion fought around the world, Africa was often a battlefield, from Algeria, Libya, Tunisia, Chad to the present peacekeeping missions. Today, the French Foreign Legion composed about 8500 soldiers, only men. divided into 9 Regiment (Regiment) and one independent unit. Second Parachute Regiment (2nd REP) stationed on Corsica, in the regiment can only best legionaries. 4th Regiment (4th RE), based in Castelnaudary the regiment used to train candidates, legionnaires. 13th semi Djiboutiju brigades stationed in Africa, it is the struggle for the various rebels and pirates in the Horn of Africa. Today, the French Foreign Legion participates in peacekeeping missions around the world. Legionnaires on missions in Chad, the Central African Republic, Lebanon, Afghanistan, Djiboutiju and French Guiana. is performed at 11 recruitment centers in France. security check conducted Bureau Des Statistiques de la Legion Etranger – BSLE, popularly known as the Gestapo. The department legion you will undergo a constant stream of questions about your life before, about friends, school, motives entry into the Legion, misdemeanors or possibly criminal history. The department is surprisingly well-informed and, therefore, crushing not worth it, especially if you’re a good hustler. interviews (two interviews) occur most often with Caporal-chef (first) and major (second). They will ask you about your Motive joining the Legion. test of physical strength and endurance consists in Luc Leger test (run), 4 pull ups with palms outward, climbing rope from 5 feet and 40 sit-ups. Once in the Foreign Legion to the toughest criminally, but today this is no longer the case, I can not get into the legion killers, rapists, and other serious offenders, but the legion of tolerating minor offenders. Applicants who meet these requirements, go to the 4-month training Castelnodary or in the jargon called Farm to the complexes which are suitable training, legionnaires. On that train candidates to learn military skills, and raise their psycho-physical condition. after candidates successfully complete their training, they get a white hat, which proves that they have become real legionnaires, and will be deployed to the regiment they choose according to their performance in training. AMX 10 RC light tank on wheels with a 105mm cannon. AMX-10P armored personnel carrier for 8 passengers. VAB armored transporter easily for about 10 passengers. and many other famous people, from politicians to entertainers over athletes.